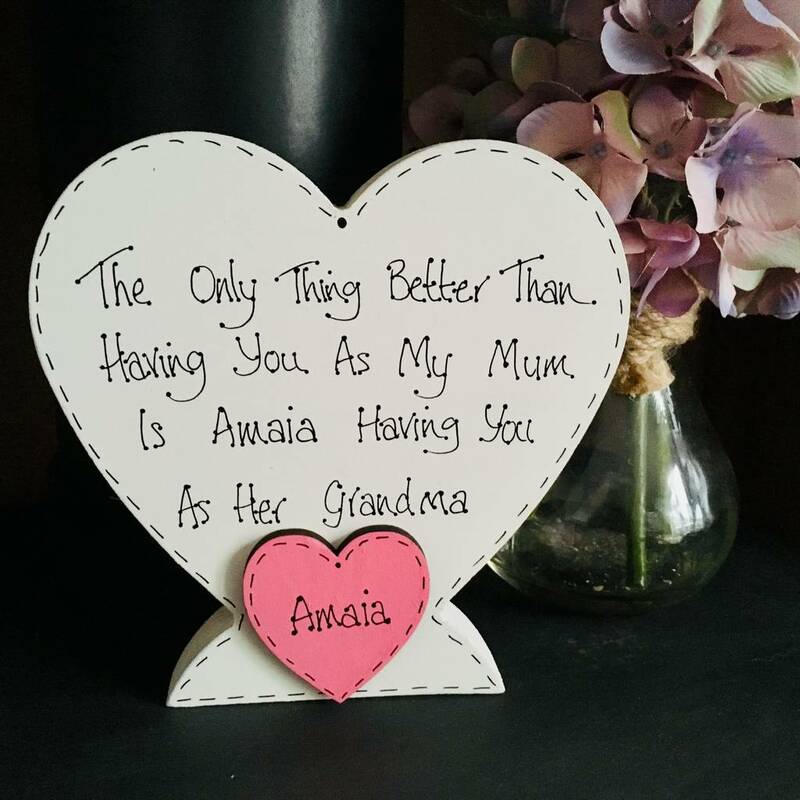 A beautiful handmade freestanding wooden heart with a lovley verse incorporating both Mum & Grandmother names. It can also have personalised grandchildren's names. The only thing better than having you as my Mum is my children having you as their Grandmother. A beautiful verse any Mum would be proud to read. This freestanding wooden heart would make a perfect gift for any Mum's birthday or Mother's day. You can have the generic verse as shown in the photo with the dotty heart - or personalised with the grandchildren's names - as shown in the other photo. It would look fab in her lounge, bedroom or even popped on the kitchen window sill. Hand-made in Devon. The freestanding heart will always be in Ivory/White but the mini heart can come in either red, pale pink, pale blue, mushroom or olive. This mini heart can then either be dotty - or personalised with up to three names.Please also remember to list your chosen "grandmother" name (ie. Nan, grandma, nannie etc).